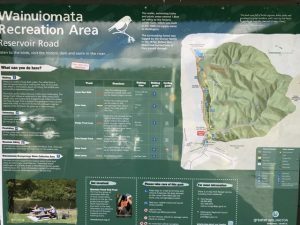 With wide paths that are either sealed or shingle, the tracks in Wainuiomata Recreation Area are great for all ages and abilities of walkers and cyclists. If you park on Reservoir Road (see below for directions) there are a couple of different route options. The road to the lower dam is sealed, wide and so minimally inclined that you don’t really notice making it great for new bike riders. This road occasionally has works vehicles on it, so keep the kids in sight. The dam towards the end has a toilet, viewing platform and picnic tables so makes a good place to take a break. Kids might like looking out for the brown trout in the water. Dogs aren’t allowed in the dam area, although they are permitted on a lead in the rest of the park. Another track option is the Gums Loop Track. Start on the sealed road that goes towards the dam but cut off to the right following the signs. The track is shingle, mostly flat with any inclines being short and easy enough to encourage a walking child up or a cycling child to hop off and push if necessary. There’s the option of cycling through the river soon after the turn off from the road or there’s a swing bridge if you want to stay dry! This track is partly shaded by gumtrees and native bush but you’ll still need sunblock on a hot day. There are a couple of swimming holes so go prepared if you think you’ll want to get into the water. Going this way round, there is a final bridge to cross the river, a picnic table and large grassy area before coming back to the car park at the end of Reservoir Rd. 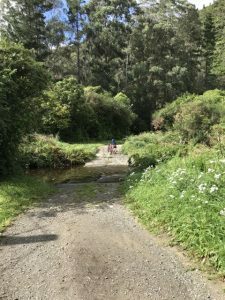 It’s a perfect track for kids that are just starting out on ‘off road’ cycling but if you’re children are avid mountain bikers, this probably won’t be challenging enough for them. 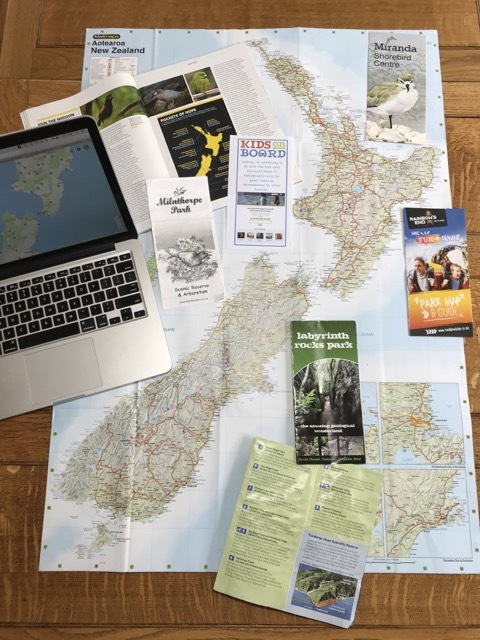 You’ll probably want to add on the Sledge Track loop and Tana Umaga track too In this order for a gentler ride or more challenging to go up Tana Umaga first). These are definitely steeper but offer great views as well. 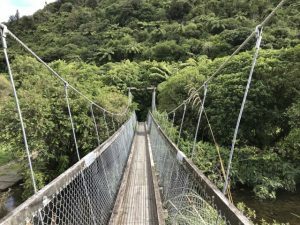 Something for all levels at Wainuiomata Recreational Park! Address: Reservoir Road, Wainuiomata Recreational Park. This road ends in a car park and has good access to all the tracks mentioned. There are other access points. See Google Maps for these. Gums Loop Track is just under 3km, the dam is just over 3km (return). The Sledge Track Loop and Tana Umaga tracks are both under 2km but will need to be done in addition to at least part of the Gums Loop Track.